Google Earth photo of the Elk River Guest Ranch, looking towards the Continental Divide and Mt Zirkel Wilderness. 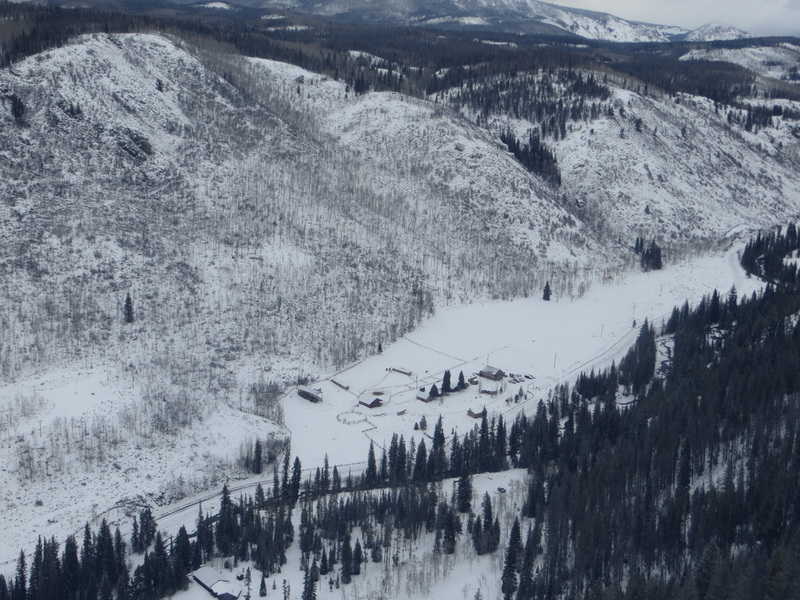 The ranch sits at 7502 feet with private Elk River frontage. The Ranch offers a beautiful & remote setting while still being close to the resort town of Steamboat Springs. What this means to our Guests is each stay offers a diversified experience of the mountain outdoors along with a quaint mountain town. The Elk River Guest ranch sits at 7502 feet, and while that qualifies us as the high-country, this is a much more pleasant altitude experience for most visitors. Our Northern Colorado location (25 miles to WY) offers a diverse forest of aspen, mountain meadows, wild flowers, gamble oak, ferns, grasses, sage, and evergreens. Wildlife is abundant, we have had personal sightings of elk herds, mule deer, coyote, fox, marmot, eagles, hawks, and even a gray wolf. If you take the time to explore the outdoors during your vacation with us you may have the fortune to come across some wildlife in the purity of it's home environment. This is a 3-season activity center, from the world-class Steamboat ski resort, to "everything" summer, to premier hunting grounds, to the autumn aspen glow. The 4th season called "Spring" can often represent the tail end of Winter, where the calendar may say Spring but snow still falls and the Winter melt-off is a pretty big mess. But, this is our prime time to get the property in order for the Summer season! Our official town is Clark, Colorado, locally referred to in the winter as the Clark-tic Circle. We do get a lot of winter snow (200+ inches / year) and the temps dip well into the negatives, but there is a silver lining! Our snowy and cold Winter means a consistent annual snow pack, which means a lush and diverse forest that greens up like a Leprechaun every summer. And, that is what makes this area so special. From June 10th - August 25th (2018 dates) we operate as an all-inclusive Colorado Dude Ranch, an association that means relaxation, activities, clear skies, and quality dining. We do offer a few alternative packages as well. Daily horseback riding is also available with advanced reservations in the fall months after the dude ranch season ends. 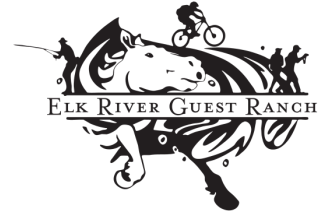 From August 26th - March 31st the Elk River Guest Ranch offers nightly lodging, and select horseback riding dates in the fall. September through November is prime for hunters looking to walk out our back gate into game area 14. More details are available on our hunting page. At the Elk River Guest Ranch, we have made a commitment to utilizing eco-friendly and sustainable practices and sharing those practices with our guests. We offer our guests the ability and knowledge to reduce their footprint with self-sufficient living techniques including reconnecting with nature, developing horsemanship skills, hiking, the opportunity for wildlife viewing and learning backcountry wildlife skills on our overnight camp trips. We have also made a commitment to encourage catch-and-release fly fishing and responsible stewardship of the land by caring well for our animals and landscape and utilizing Leave No Trace practices while on National Forest lands. Our guests also are given the opportunity to participate in sustainable practices including water conservation through the re-use of towels, use of organic in-room bath products, and energy efficiency lighting.